This course is an introductory course on Cisco Data Center Technologies. Upon completion of this course students will be able to identify and describe the components that make up a data center. These components include Nexus switches, MDS switches, the Cisco UCS line of servers, and storage. In addition, students will discover the benefits of Data Center virtualization and a unified fabric. This interactive training contains multiple learning modalities such as instructional videos, labs, assessments, test-prep exams, mentoring, job aids, student guides and class notes. Crucial elements of this course include the coverage of network services, virtualization, storage networking and unified fabric. Describe Cisco WAAS needs and advantages in the Data Center. 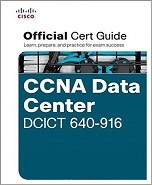 What is included with the Introducing Cisco Data Center Technologies Course?